This menstrual cup is featured in a clear color in the standard size range -perfect for most users. 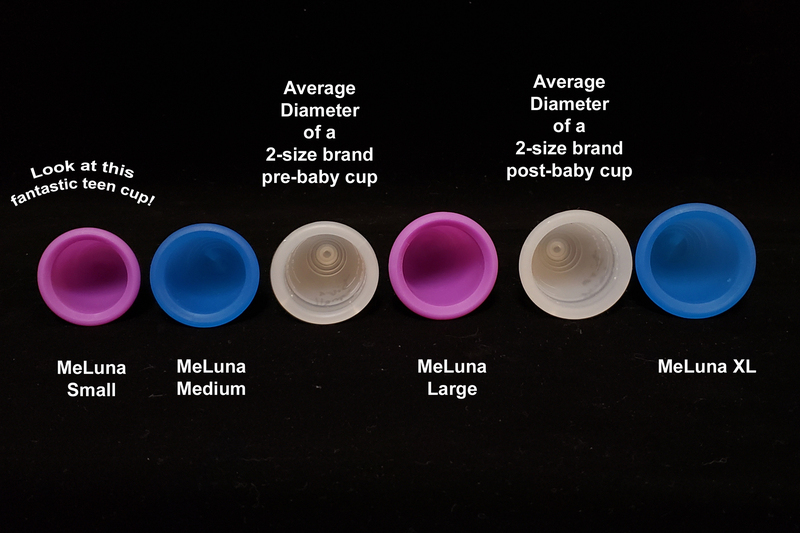 I switched from diva cup to MeLuna sport as I kept having leaks. After researching I found out the leaks could have been due to having a too flexible cup. This one is indeed less flexible which has reduced any leaks especially during exercise. This cup has worked incredibly well for me so far! I love all the customization options MeLuna offers. I was able to select a cup that's the right capacity, length, and firmness for me, and I LOVE the ring stem. I've found the cup to be very easy to insert and remove, and I like the TPE material. I have no complaints!